Marcus Jones better known as Nutty was born to Oliver and JoAnn Jones in Wilmington N.C.The youngest of two nutty was introduced to hip hop at an early age. He immediately fell in love with the art form. Redman, Outkast, and Nas influenced him to give rapping a try. While enrolled in NC A&T in Greensboro his rapping skills were polished performing in various events from cafeteria battles to barmizvahs and even get out of prison cookouts. 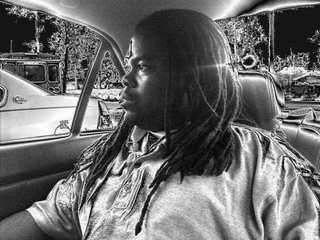 He would later go on to open up for the likes of Gucci, Yola the great, the Young Gunz and more.While in Greensboro he reconnected with a childhood friend in barber school that wanted to start a record label by the name of Roncin Sanders. When he returned to Wilmington Roncin was prime to get things rolling on the music. Shortly after Roncin’s murder in 2002 brought a new resolve to the family of Most High who vowed to build on what he started.